Widely regarded as one of the creators of prose poems, Arthur Rimbaud (1854–1891) was also a forerunner of the Surrealists. The works in this excellently translated collection, written by the author when he was between 15 and 20 years old, became a rallying point of the poetic avant-garde during the late nineteenth century throughout Western Europe and the United States. They have remained a source of inspiration for their youthful, rebellious spirit and unmatched verbal allure. 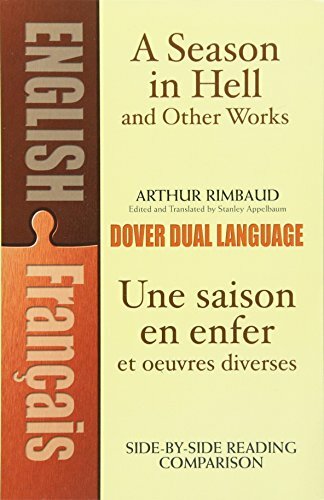 Included among the works are the complete versions of Rimbaud's autobiographical "A Season in Hell"; his entire "Illuminations," a large selection of early verse poems; and "The Drunken Boat," a work considered by many to be the poet's masterpiece. This volume of witty, sarcastic, and expressive works is required reading for students of world literature, and will also appeal to a wide general audience.